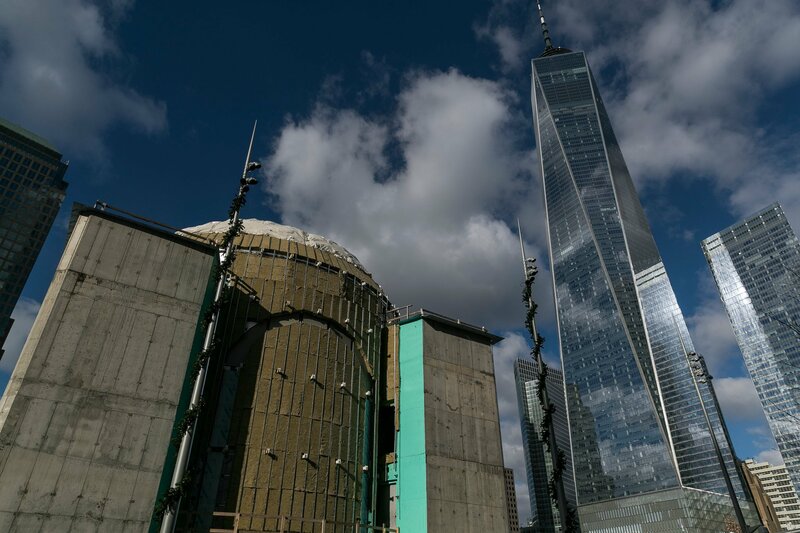 Sixteen years after the St. Nicholas Greek Orthodox Church was destroyed in the terror attacks of Sept. 11, its reopening at the World Trade Center site remains frustratingly out of reach. The latest setback to the project came this month, when Skanska U.S.A., the construction company rebuilding the once-simple church into a luminous, Santiago Calatrava-designed shrine, ceased work at the site in Liberty Park, just south of the 9/11 Memorial Plaza. The Greek Orthodox Archdiocese of America, despite receiving $37 million in donations for the shrine, was unable to pay its bills, the company said. Behind the failure to pay is the story of a religious organization that took on the logistical and financial challenge of building a national shrine at the World Trade Center site to the highest standards of international design, only to become saddled with ballooning costs, and an internal crisis within the archdiocese caused by what leaders now acknowledge was financial mismanagement. 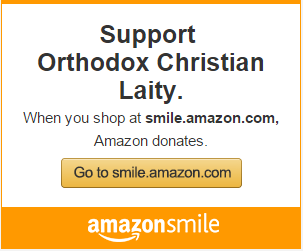 The result has been a breach of trust among many of the 1.5 million parishioners of the Greek Orthodox Archdiocese, the archdiocese has itself acknowledged, as wealthy donors and humble parishioners alike wonder whether their donations were used appropriately. When the design was announced in 2013, the projected cost of the St. Nicholas National Shrine, a Byzantine-inspired structure whose current concrete shell is intended to be sheathed in marble, was $20 million. By the time ground was broken in 2015, the estimate had reached $35 million. When its 50-foot dome was completed in 2016, the estimate was $40 million. This month, the archdiocese said the estimate had reached $72 million to $78 million, of which $49 million had been pledged. How costs spun so high will be examined in an independent investigation and audit ordered by the archdiocese in November, the archdiocese said in a statement. PricewaterhouseCoopers and BakerHostetler have been retained to conduct the inquiry. “In addition, the archdiocese will re-evaluate its fund-raising strategy moving forward and will continue to explore ways to cut costs, concurrently maintaining the historic vision of the church,” the statement said. The acute funding shortfall followed the October 2016 revelation that the archdiocese, which is based in New York and represents 540 parishes nationally, was suffering from a “severe and complex financial deficit that had been building for several years,” according to a statement the archdiocese released last fall. His Eminence Archbishop Demetrios, the 89-year-old leader of the archdiocese, was quoted in the statement as saying that until October 2016 he and others had been unaware of the organization’s financial condition. “We were utterly surprised and saddened by the deficit, and by its unexpected nature,” he said. 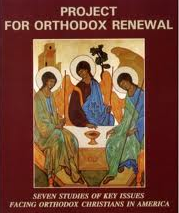 The archdiocese since has made some reforms. Since 2016, it has cut about 25 percent of the archdiocesan staff, and about 25 percent of expenses. The executive director of the archdiocese, Jerry Dimitriou, who oversaw the shrine project, resigned in September. Both the chairman of the finance committee and the director of finance were replaced, the archdiocese said. Of particular concern, Mr. Psaros reported, was that the archdiocese had transferred $4.75 million from “restricted and custodial accounts” to cover a shortfall of $4 million to $5 million in the 2017 general operating budget for the archdiocese. A spokesman said that the investigation would find whether donations earmarked for the St. Nicholas Shrine were among those raided for general expenses. But internally, it has already been acknowledged. Some members of the church have called for the archbishop to be removed. Steve Stratakos, a commercial real estate appraiser based in Illinois, said his charitable organization, the Pan-Icarian Brotherhood, had been approached for donations for the shrine but declined. Without greater transparency, he said, there is no way to know whether the project was being managed appropriately. The archdiocese said in an email that it was hopeful that construction would resume as early as the spring. It added that design work and the construction of skylights and parts of the marble and glass-fused curtain-wall and lighting system that will ultimately allow the church to glow at night were continuing off-site. Before the Sept. 11 attacks, the modest four-story St. Nicholas Shrine was located at 155 Cedar Street and had fewer than 100 affiliated families. After its destruction, the denomination was determined to rebuild it as a testament to faith. After years of negotiation, the Port Authority of New York and New Jersey in 2011 gave the church the current site at the eastern end of Liberty Park, where it will be the only house of worship at the World Trade Center. The archdiocese signed a 198-year lease for the nominal rent of $1 a year. Archdiocesan officials said they believed that once the investigation was complete, trust would be restored and the project would move forward with transparency and accountability. “The Archdiocese remains committed to the rebuilding of Saint Nicholas and we are confident that our fund-raising efforts to support this important project and ministry will be successful,” His Grace Bishop Andonios, chancellor of the archdiocese, said in a statement last week. A version of this article appears in print on December 28, 2017, on Page A18 of the New York edition with the headline: Work Is Halted on Shrine At World Trade Center Site.